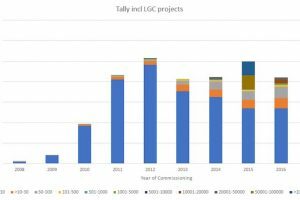 New-build homes with solar and storage? New-build homes with solar and storage? “It’s going to be the norm” European dishwasher – tick. Reverse cycle air-con – tick. Self-cleaning oven – tick. A ludicrous amount of down-lights in the kitchen – tick. 5kW of rooftop solar – tick. 13.5kWh battery system – tick. Major Australian home builder Metricon says more than half of the roughly 1,000 new homes it is building a year in New South Wales alone will have rooftop solar and battery storage included. That’s because more and more customers are opting for design packages with energy security built in – and it ends up just being a couple more standard modern appliances. The residential developer is just the latest to reveal a new deal it is offering in partnership with solar installer CSR Bradford, where NSW and Queensland customers who choose its Designer by Metricon range will also have the option to include a Solar ChargePack. This package includes CSR’s package of 5.4kW of rooftop solar and the latest home battery offering from Tesla, the Powerwall 2, which has a storage capacity of 13.5kWh. They’re even offering the chance to win a Tesla Model S EV – worth a cool $100k – as a sweetener for the deal. 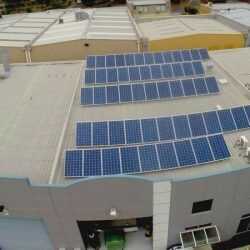 And according to Bradford Energy, which has struck up these sorts of deals with a number of property groups across a number of states, there are now around 40-50 new home builders throughout Australia that are including solar and storage, either as a standard feature or an optional “luxury” upgrade. Of course, the decision by new home owners to add rooftop solar is no great surprise. With electricity prices going in one direction (up), and the cost of solar going in the other (down), many would argue it is a no-brainer. It could even become non-negotiable. 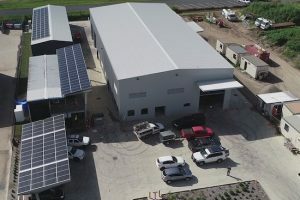 A recent report published by the Australian Sustainable Built Environment Council (ASBEC) and ClimateWorks Australia, has recommended an update to the national Building Code, making solar panels or other renewables compulsory for new homes built in Australia. Despite the costs of batteries coming down, too, they have not yet reached a point where they are an economic no-brainer. Particularly for new home owners with tight budgets and bloated mortgages. So why are new home builders choosing battery storage, too? And why are property developers offering it as a package deal with solar? “The leading new home builders, they’re just in touch with the fact that affordability is a real concern right now,” said Bradford Energy business manager Ashley O’Brien. “They can walk into their new home, turn on their air conditioner and they don’t pay for it. It’s a lot of peace of mind for new home owners,” she told One Step in an interview last week. “They’re working during the day, and when they come home this is when they’re using their energy. (Solar and storage) appeals to all of those families. “Every time the (electricity) prices go up, we see demand increase,” O’Brien told One Step. Metricon is seeing this unfold, too. Peter Ayers, Metricon’s sales manager for NSW, says that in that state, between 50 – 60 per cent of its customers are not only wanting to build “a big, new, beautiful home,” but to make it as energy efficient as possible. On battery storage, Ayers says it had really been an unknown in the market place. But once Metricon started putting “a full fledged product” in its display homes, customers instantly became interested. “With the cost of electricity going up, it’s just going to be the norm,” Ayers told One Step in a separate interview. “Everyone is looking at the best. most affordable way to build a home. With the current large amount of down lights, three or four different TVs, you want to make sure that you are creating your own energy,” he said. Those savings, according to Metricon, should amount to something like $30,000 across 10 years, for those customers who opt for the 5.4kW Bradford Solar ChargePack. In the first year, the company says, a household of four can enjoy $2,100 average electricity bill savings. And they’re expecting the uptake to be big. 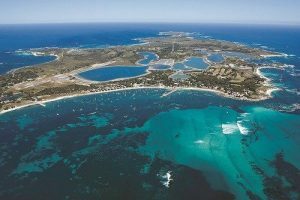 “In NSW we’re hoping to build around 1000 homes a year, and at the moment the uptake with the Tesla battery is probably around 50-60 per cent,” Ayers said. 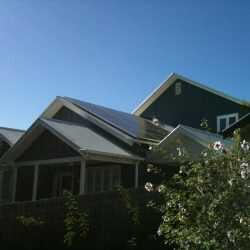 Contact us to discuss your solar and storage home needs. Off-grid, in business: Is this a “new norm” for SMEs?